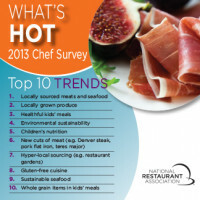 Two interesting surveys about technology use in restaurants predict trends for 2012. But the specifics of those trends seem to be lacking, and to find out more, Food+Tech Connect has created a quick survey below. Additionally, the study found those who sought out information about local businesses and restaurants are households which typically make $75,000 and have college educations. Women and young adults are also more likely to look for information on restaurants. Comparing the two surveys creates a confusing portrait. 16 percent of chefs say social media is the “hottest trend” in technology, while only 1.5 percent of consumers say they are using twitter or social media to get information about restaurants (3% of 51%). 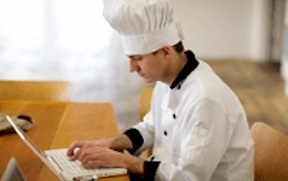 Perhaps not enough chefs are using twitter or facebook, or the format is not well suited to learning about restaurant. Pew also found about 28 percent of the population (51% of 55%) is using the internet to find information about restaurants. This number is not reflected in the chef survey; about 25 percent of chefs said smart phone apps and tablet use is a “hot” trend, but the question, and answer, are vague. 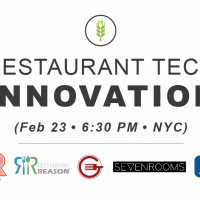 While perhaps simply a semantic difference of listing information as “menus and wine lists on tablets” or “news and information about restaurants,” the difference is an important one for both chefs and entrepreneurs attempting to connect owners and consumers in the restaurant space. 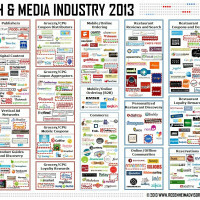 In other words, it feels like more information is needed as to how people are using the web to connect with restaurants, and in what ways they are doing so. To this end, we created the survey below consisting of 5 simple questions. We will report the findings in the coming weeks.